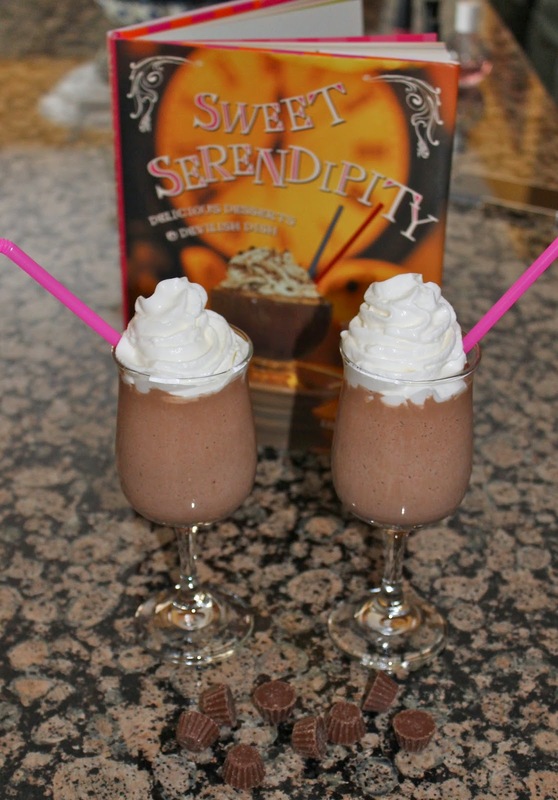 My love for this delicious treat began when I first tried it at the original Serendipity restaurant in New York City. I had heard about it and despite the long wait, waited hours to eat there. Their signature drink, Frozen Hot Chocolate, was way worth the wait! I also visited Serendipity 3 in Las Vegas when I was there a few years ago. That is where I discovered Peanut Butter Frozen Hot Chocolate. It is by far one of my favorite desserts. My sister bought me a Serendipity mug and cookbook a few years ago and Zach actually bought me the pre made mix (which is available for purchase at either location or online here). Whether you make it from scratch or use the mix, it is delicious! 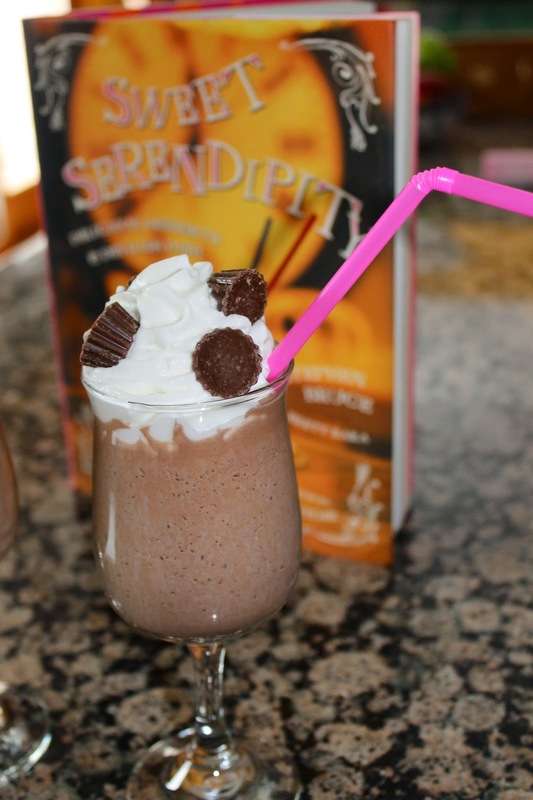 This cookbook also includes a ton of other recipes and other twists on the original Frozen Hot Chocolate. 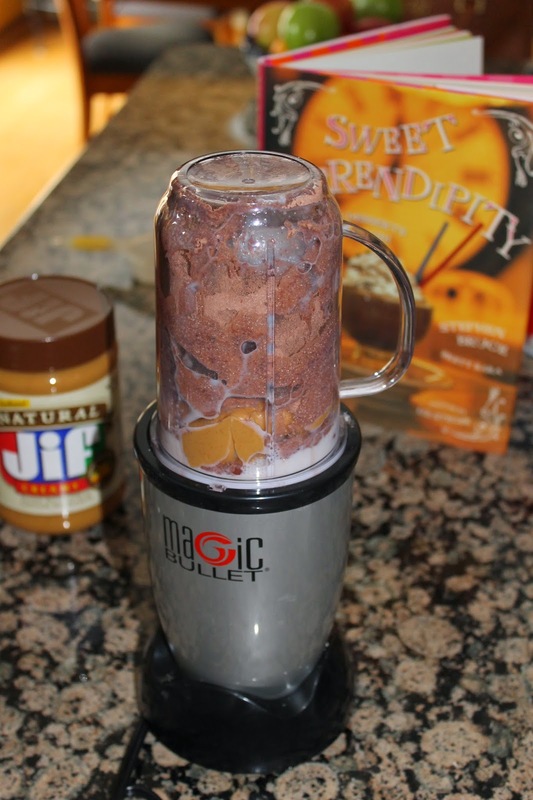 I am going to share the Peanut Butter recipe since it is my favorite. Blend ingredients together until smooth. Add whipped cream if you would like and top with chocolate shavings (or peanut butter cups as I did). Enjoy!